In general, flying can be a stressful event. You've got to make sure your bags are under the weight limit and size requirements. You've got to make sure your carry-on will fit in the overhead bin. You've got to get through that pesky, but necessary, security. Add in a child, or two or three or more, and it can take an already stressful situation and escalate it to full-on pandemonium. Our first flight with Anniston was *decently* smooth. Our second flight went better. Hopefully our upcoming third flight will be an even bigger improvement over the last few. 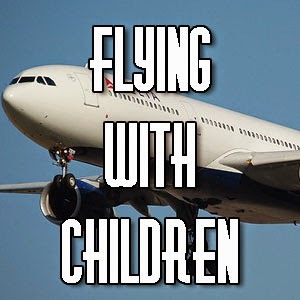 Here are a few tips I have with flying with children. If you are traveling as a family, check your seats (or select them if you have option) before you board. See if you are able to get seats all together. I typically don't ever pay for early boarding, just for the fact that you have to sit in your seat longer, but I will pay for assigned seating, if needed, for all of us to be together. We "practice" before we leave. If you are using a device such as an iPad, headphones are neccessary. when Anniston was younger, we'd have her sit on the couch and practice using headphones. We'd also practice sitting still for longer periods of time. We also took time to explain how airplanes work and why we have to sit still and quiet. Did it work perfectly? Nope. But I believe it did help. If your child is under two and is flying as a "lap child" and the child is close the 24 month mark (or just looks older), make sure to bring their birth certificate for proof of age. 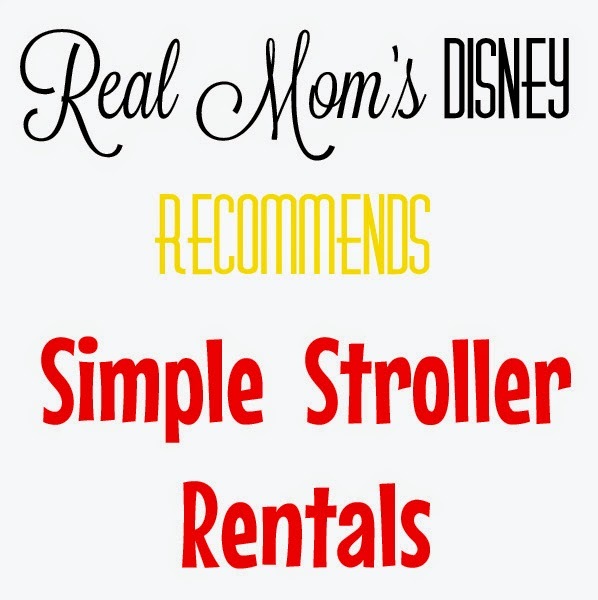 If you do not need a stroller in the airport and have the option to rent a stroller, DO IT. One less thing to navigate an airport with can change your life. Not to mention, the stress of lugging it and all of your luggage to the desk. If you need your stroller (or carseat if you are traveling with one of those), gate check them. It's been free on every flight I've been on. If you are going to have to fly with it, you might as well have the advantage of using it while you are in the airport. The TSA has a little bit different guidelines for flying with children under the age of 12. Here is a link to their page that talks all about that. Read up on their rules, plus the rules of your airline before you leave. You don't want to be surprised at security or at your gate! While waiting for your flight, let your kids move. They'll have to sit quiet and still for the whole flight, so let them get some of that energy out. This is a hard one for me. I want Anniston to be the kid that can sit still for hour upon hour, but she just can't. So giving her the time and space to get some exercise before boarding is essential. While some people might give you strange looks, they'll be thankful later when your child is more compliant on the flight. Take your kids to the restroom right before boarding, whether they are potty-trained or in diapers. After you board the plane, even if you flight isn't delayed, there is a chance that your plane might have to wait on the tarmac for a while. During this time, you aren't allowed to use the on-board restrooms. Potty before boarding can save an accident, or at the very least, a very uncomfortable 20 mintues. If your child wear diapers, make sure you pack plenty for your flights and a change of clothes! Be prepared for blow-outs. They always seem to happen at the most inopportune times. During the take-off and landing, give your kids something to help their ears pop. Things like gum for older children, a pacy or bottle for a younger child should do the trick. Pack a variety of activities in your carry-on/personal item. We typically pack things like extra clothes, etc in our carry-on and then use a backpack or tote bag full of activites and snacks for our personal item. Bring lots of options for on-board entertainment, especially if it's a younger child with a limited attention span. Anniston is at the age where she can happily sit for 2 hours and watch a movie. When she was younger, we'd watch a movie for 15-30 minutes, then color for 10 minutes, then eat some snacks, and so on and so on. Go to the Dollar Store and stock up on cheap and new things for your backpack. We like things like the Crayola Color Wonder packs, travel games, playing cards, lace cards, and books. For a more detailed list, check out this list from Delicious Baby. If you do decide to bring snacks, or purchase them after security checkpoints, try not to get juice or sugary snacks. If your children are like Anniston, sugar only hypes her up. The last thing I want is to try to make a hyper child sit still for two plus hours. Serenity now. Begin packing up things while you are still landing. You don't want to have to scramble around to gather everything while it's time for you to get off the plane. When the plane lands, I'm ready to get off. Some people might be more comfortable waiting until most of the others have already left but not me. If your child isn't perfect on the flight, so what? As long as you tried your best and didn't just let the kid terrorize the other passengers, ignore the glares, sighs, and terrible looks. There will bad flights and good flights. Just do your best and ask your child to do their best. It's all you can ask for. And? If you are on the other end of the spectrum, don't be a jerk to the parents who are struggling on the flight. Have some compassion. Give encouraging smiles and just be nice. There are lots of things that you can do to prepare and make your flight an enjoyable experience for all. If you have any additional tips, leave them in the comments! Disney Planning: What if I don't like to plan? Tips from a Recent Disney World Trip!